The institution of the Student Colleges for Advanced Studies is a Hungarian speciality in the system of higher education which is based on British and French traditions. Organized on the basis of democratic community, everyone has the opportunity to develop their skills and expand their knowledge. The main aim of those Colleges is talent management, giving an extra knowledge beyond the university education as well as training socially sensitive and well-informed intellectuals, and promoting self-realization. In October, 2003 civilian students of the former Zrínyi Miklós National Defense University (Budapest, Hungary) founded an organized student group under the name of 'Advanced College for Security Policy' having the aim of 'educating young intellectuals for the service of their homeland and the development of a secure society, through fostering professional higher education, reaching psychological maturity, living a moral and communal lifestyle and developing an increased sensitivity towards societal issues and patriotism'. Since 2009 ACSP, just like many other advanced colleges in Hungary, has been fulfilling the directives recorded in the 'Charter of Advanced Colleges': functioning as an autonomous organization ACSP members constitute a community living together in a dormitory, giving them the opportunity of fruitful cooperation, while the professional courses become a determining part of our broad sphere of activities. Besides organizing lectures, visits and conferences for its members, ACSP carries out activities of public utility in the fields of scientific research, education, development of skills, popular education and cultural activities for the broader public. ACSP carries out its activities on the scientific fields of security and defense policy, defense administration and disaster management, as we consider them complementary fields and as we would like to bind together the students of our university majoring in these fields. In our days it is of outstanding importance how a professional institution can articulate its opinion, spread its results or inform other organizations. For this reason ACSP runs the professional website called ‘www.biztonsagpolitika.hu’, consisting of numerous publications and other notes, while it also gives the opportunity for the exchange of thoughts through its forum where anyone registered may share his or her opinion. The meetings and lectures are of course open to anyone interested in order to broaden the sphere of those who would like to contribute to professional issues. Ostrakon was founded in the spring of 2011 at the Faculty of Public Administration of Corvinus University in Budapest, which is now part of the National University of Public Service. The organization was established by four enthusiastic students with the aim to provide an alternative and useful way to improve the professional skills of the members outside of the everyday training. Our courses are carried out in the fields of public administration, government, economics, policy analysis, communication and leadership, organization, management sectors. Apart from the scientific work, we put a great emphasis on community building, which is perhaps one of the most powerful attributions of Ostrakon. The organization has three basic pillars, which ensure the stability of our work. The courses, lectures and academic career model grant the enforcement of professionalism; cultural, traditional and charitable programmes widen the diversity of the activities; while college programmes serve to strengthen the relationship between our members. Resolving issues related to the College's activities is primarily the task of the members, but the help, the experience and the guidance of the instructors, the Faculty and the University are priceless. Our Guests were eg. László Kövér, the Head of the Hungarian Parliament, Mihály Varga, Minister of National Economy, Sándor Egervári, former coach of the national football team, Mátyás Szűrös, the first president of the Third Republic of Hungary. The Magyary Zoltán College for Advanced Studies was founded in 2001 and still operates at the Faculty of Science of Public Governance and Administration of the National University of Public Service. The eponym of the College is Zoltán Magyary who is one of the most determining persons of Hungarian public administration. His intellectual legacy still forms the basis of numerous development programmes. The College's professional activity of the past decade has been a success story for many reasons. It has had lectures by several experts and talents, such as László Domokos the President of the State Audit Office, Rudolf Dombi who is a Hungarian Olympic champion sprint canoer. The main lecture of 2013 was held with the participation of seven former Government Spokespersons. So far the College has held many conferences taking place in the scientific public interest topics as well, reflecting current happenings. Last year the College celebrated the 125th anniversary of Zoltán Magyary’s birth by organising a significant national event. The Magyary Zoltán College for Advanced Studies has provided the basis for the Like-A-Parliament National Assembly modelling programme for students, which has become a yearly occasion and takes place in the Hungarian Parliament. In addition to the lectures, the College has had foreign studies, such as examining the Italian government and public administration, taking part in a constitutional conference in Krakow and visiting the European Union’s bodies in Brussels. A number of its members have had the opportunity to attend a foreign Summer University during the summer of 2013. In addition, the College organises courses for its members. The small group seminars provide deeper and more comprehensive scientific PA knowledge or help to improve other academic competences. The organisation pays particular attention to ensuring adequate HR supply. Therefore, in 2011 it formed a six-month mentoring programme to make the recruitment process more effective. The College is not only an organisation but also a team whose members work and learn together. Accordingly, team building events and exercises are organised on a yearly basis with the aim of bringing members together and forging good friendships. 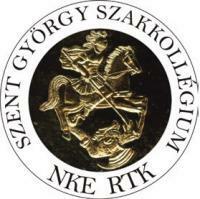 St. George College for Advanced Studies is a specially organised group at NUPS, at the Faculty of Law Enforcement, located on the top of the Széchényi Hill at Budapest Farkasvölgyi Street. Since its establishment in 2008, the group has been organising professional, educational and cultural programmes in the field of law enforcement. The primary aim of the group is to support and encourage its members through projects like participating on lectures, visiting special forces (e.g. Airport Police). In addition, the group is receiving numerous requests from the University to help, brainstorm and transact provost duty. The group has 13 active members who have their own individual time schedule. Passive members have finished their university studies and are working as police officers. Headteachers are working at the University. The group’s ambition is to evolve into an association and to obtain a budget which would be focused on improving our equipments and practical devices. The group is open for applicants who are self-confident, cooperative and can contribute to its work. The Tivadar Puskás Technical College for Advanced Studies was established in February 2010 by students of the Departments of Military- and Technical Security Engineering, Technical Engineering and Transportation Engineering of the Faculty of Military Sciences and Officer Training of the National University of Public Service, in cooperation with the Council of the Faculty and the Students’ Union. The main aim of this organization is to provide interdisciplinary training mostly for students of technical sciences. This training contains topics that are not discussed in the traditional curriculum, however they are strongly related to it. This can give an extra knowledge to university education programmes. In addition to that the College pays special attention to the college's relationships and cultural programs. There are several different kinds of lectures and open forums which play a central role in the life of the College. A lot of lecturers and professionals are invited to those occasions. Recently we have participated in several scientific events as organizers, volunteers or simply just students. 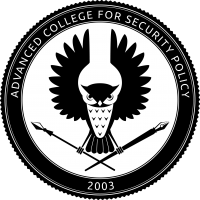 The Advanced College for National Security was established in September 2013 at the Faculty of International and European Studies. Studies in the fields of national security and security policy have been defined as the main purpose by the senior lecturer colonel Dr Stephen Kobolka in the framework of scientific research. Several new members joined the College in December 2013 in the admission process.